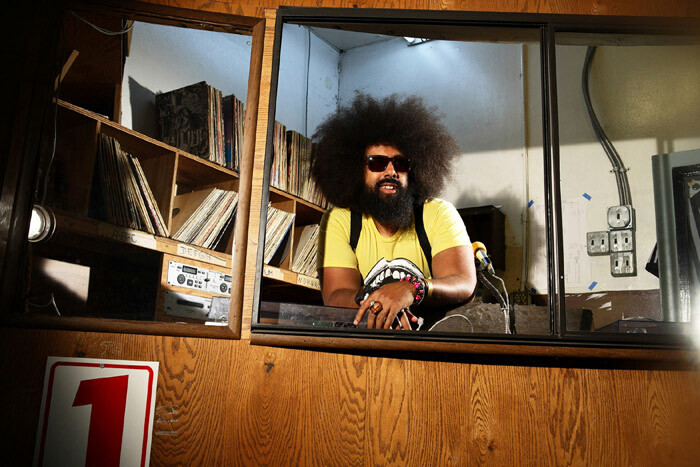 I saw Reggie Watts perform in Seattle when he opened for Conan O’Brien’s “Prohibited From Being Funny on Television” tour. Watts was awesome. It’s very, very difficult to combine comedy and music – I don’t care how many try it and they usually fail – but Watts has it down. And it’s separate from his success in the band Maktub. Tomorrow night, that’s Sunday August 21st, Watts brings his fabulous self to the Neptune (a theater you need to check out). Written by: Dagmar on 08/20/2011. This entry was tagged posted by dagmar, reggie watts. Bookmark the permalink.